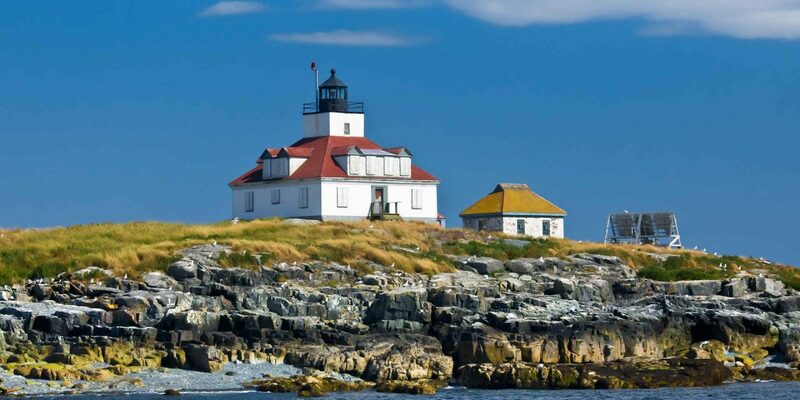 New England beaches offer sand and surf, mixed with a little history, charm and culture. Whether renting a modern, luxury beach house or a remodeled historic cottage or Victorian, New England”s charm shines through in all of its vacation rentals. 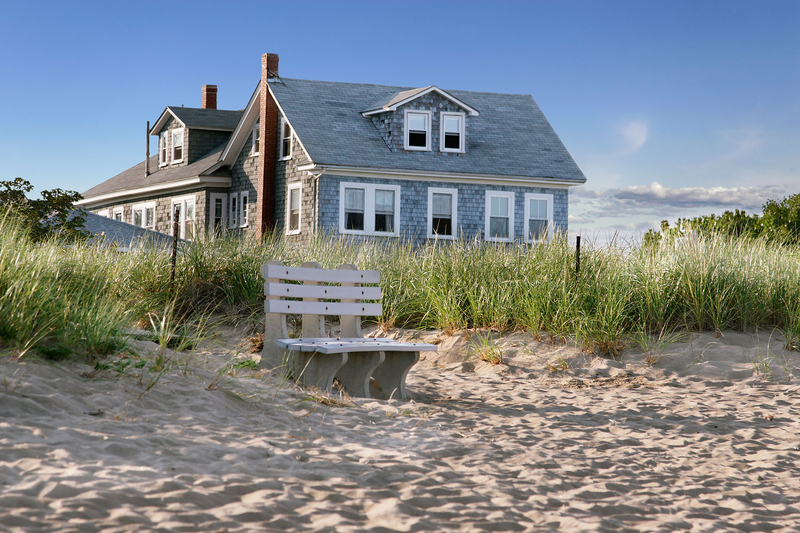 From Maine to Connecticut, beach rentals in New England offer families plenty. 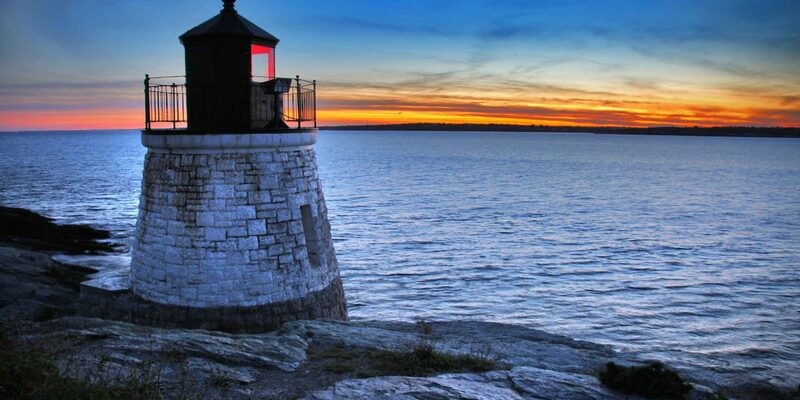 Cottages, condos and houses, with beach and ocean views, are available for rent in Newport, Rhode Island. Families will find historic Victorians or luxury homes with a pool, closer to the downtown area. The only ocean beach in Newport is Easton"s Beach, where families will find its seasonal 1940"s carousel, skateboard park and summer concerts. Boogie board and surfboard rentals are also available at the beach that also offers public restrooms. 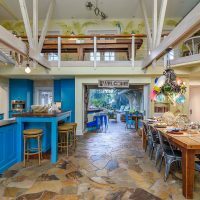 Find Rentals in Newport, R.I.
With ocean, bay or river views, Watch Hill offers visitors variety in its multi-bedroom beach house rentals. Some larger homes that sleep six people-plus also offer a pool or dock. Families can walk to the sandy beach or tour the downtown area. Rowing, fishing and sailing are popular on Watch Hill. In Westerly, families will find sandy beaches, the Flying Horse Carousel, and plenty of beach vacation rentals. 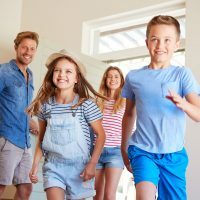 One- to six-bedroom houses, cottages and condos can be found to fit any family"s needs. The area boasts homes with private beaches (as well as public) and some properties offer a pool. The Flying Horse Carousel, built in 1867, is said to be the oldest continuously running carousel in the U.S. and kids will love the historic merry-go-round. 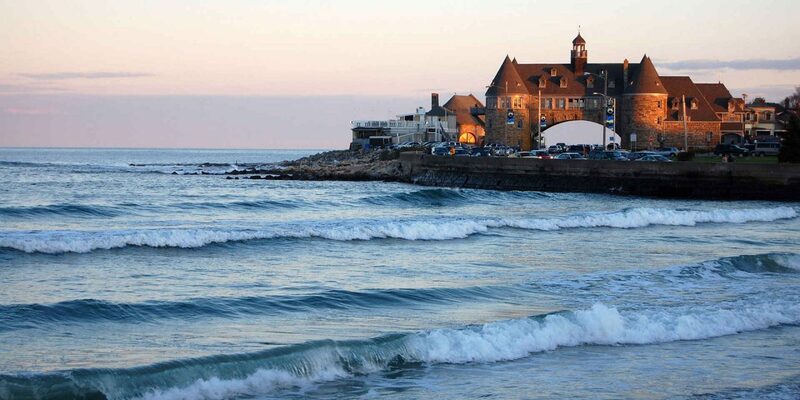 The beaches in Narragansett offer lifeguards, heavy surf excellent for body surfing, children"s playgrounds and of course, fishing. Numerous condo, cottage and beach house rentals, with lake, beach and ocean views, are available here, along with a few cabin rentals. A newly renovated, two-bedroom log cabin is available for rent near the beach. But if luxury over rustic is more your family"s style, homes with a pool or dock are available and some just a short walk to the beach. 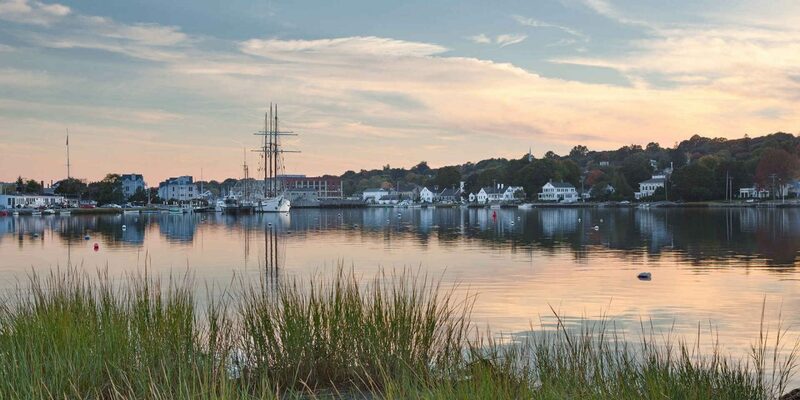 For a historic, family beach destination, Mystic is your place in New England. Sailing and boat tours are fun water adventures for the family, or you can visit the Mystic Aquarium. Houses are mostly available for rent in Mystic, ranging from one to five bedrooms. Many properties have ocean or beach views, but only a few offer a pool. Historic homes dating back to the 1800"s, within walking distance to the downtown, or waterfront homes with a dock can easily be found. 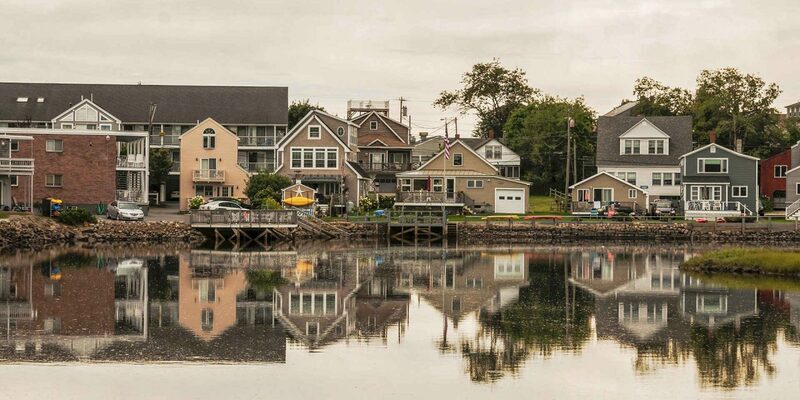 Find Rentals in Mystic, Conn.
Old Saybrook has a Main Street with 375 years of history, where visitors can find everything from kayak rentals to fudge. Harvey"s Beach in Old Saybrook is a shallow water beach that offers an onsite bathhouse with showers, where families can wash up after a day in the sand and saltwater. Carriage houses, cottages and single-family homes are available for rent in a variety of sizes. Families won"t find many properties that offer a pool, but many of the vacation rentals are within steps or blocks of the beach. 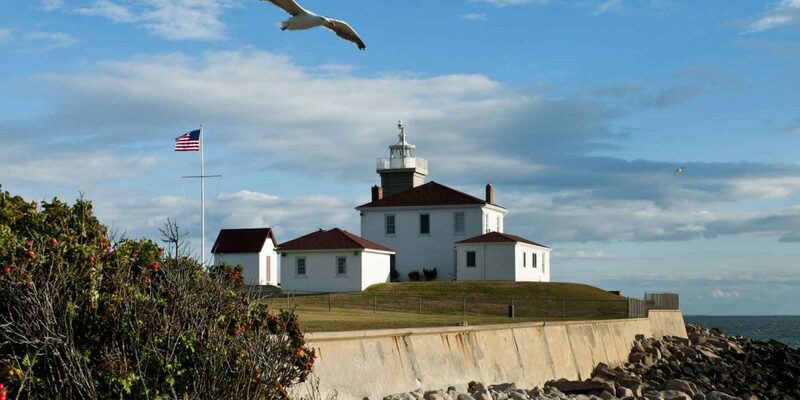 Find Rentals in Old Saybrook, Conn. Houses are mostly available rentals in Westport (not to be confused with Westport, Mass.) and several properties feature a pool. Families will find a renovated farmhouse surrounded by trees or a large luxury home on the water. Several of these beach houses are on the higher end of rental properties, but the views and amenities can be worth the higher price tag. Lifeguards are on duty in the summer months at Compo and Burying Mill beaches. There is a fee for parking and a bathhouse and locker rooms are available at the beaches. A skateboard park can also be found at Compo Beach and tennis courts and golf courses will keep families busy in Westport. Bar Harbor, which is surrounded by Acadia National Park, offers breathtaking scenery and outdoor activities for vacationing families. 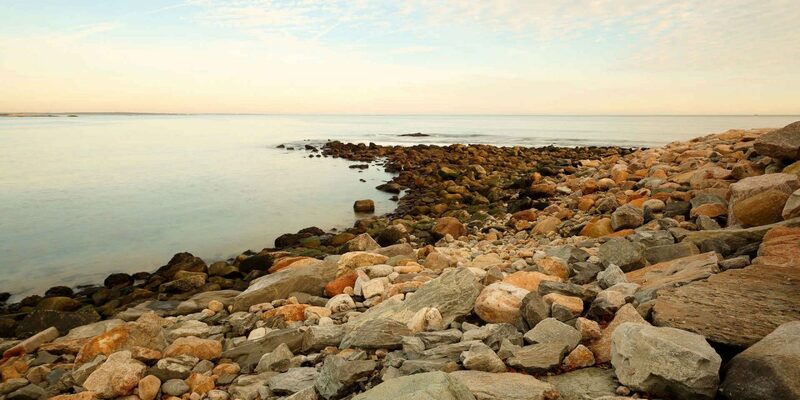 The Shore Path, which begins at the town pier and ends at Agamont Park, is worth a stroll and kids will love whale watching and kayaking. Most of the vacation rentals in Bar Harbor are single-family homes or cottages in varying sizes and price ranges. Ocean or mountain views are available, giving families the best of both worlds. 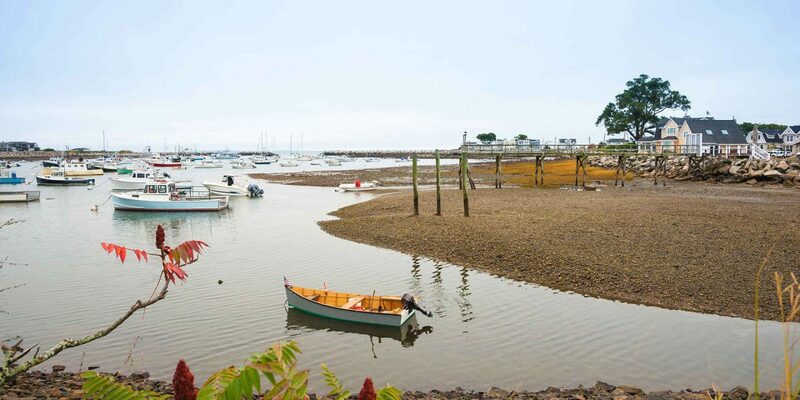 The town of Wells, which has 4 miles of soft-sand beaches, is in the center of the southern coast of Maine. 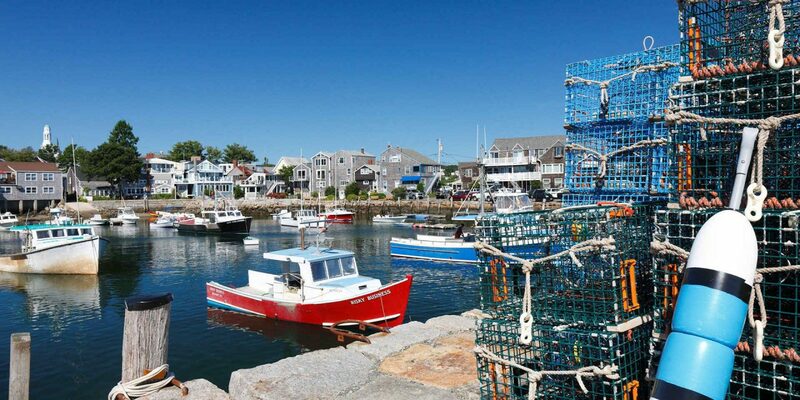 Lobster fisherman can easily be spotted, and families have the opportunity to go fishing, kayaking, surfing, bicycling or skateboarding in Wells. Houses and cottages are available vacation rentals in Wells and most (if not all) offer ocean or beach views and are steps from the sand. Pools are offered at some of the larger rental properties, while the smaller cottages may be closer to the beach. 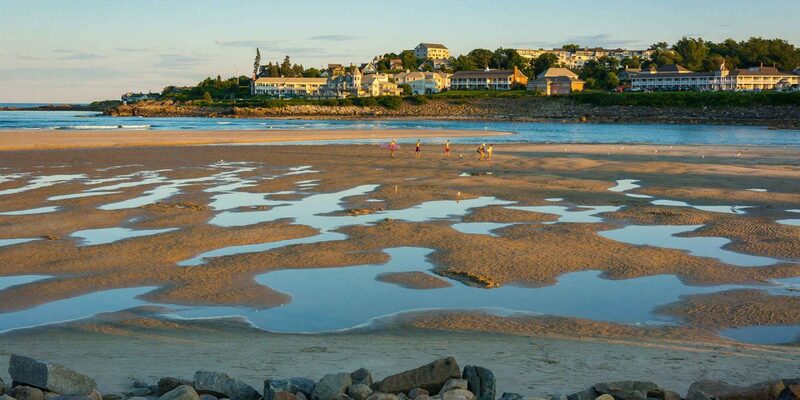 Condos, cottages and homes are available beach rentals in Ogunquit and many have ocean or beach views, plus there"s a select few with mountain views. A pool, hot tub or golf rentals are also available at some Ogunquit properties. Lifeguards are on duty at the sandy beach where bodysurfing keeps kids in the water for hours. Families looking for amusement rides will want to visit Old Orchard Beach, where New England"s only beachfront amusement park, Palace Playland, is located. A water park and indoor go karting are also nearby, plus 7 miles of sandy beach offer families lots of fun in the surf and sand. Multi-bedroom condos and houses are available for rent in Old Orchard Beach, many of which have ocean and beach views or a pool. 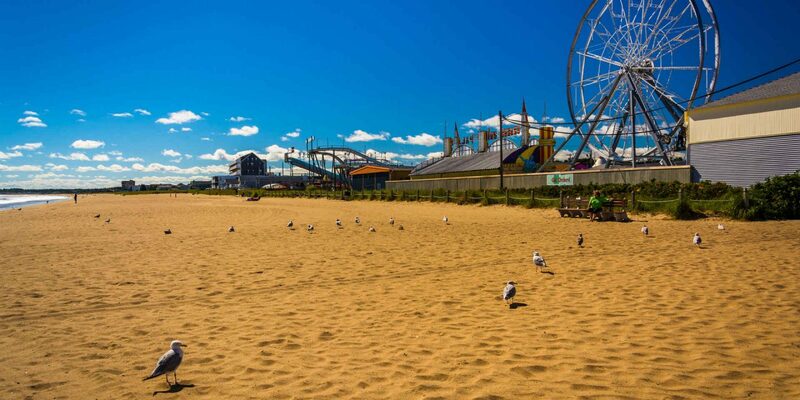 Walk to the beach and drive to the amusement rides and your family vacation in New England will be a blast. Hampton Beach has more ocean and beach view cottages and homes available from one to three bedrooms. With its sandy beach, families will have fun building sandcastles, swimming in the ocean or strolling the mile-long boardwalk where lots of shops and eateries can be found. In the summer, a weekly fireworks display can also be seen at Hampton Beach. Westport, Mass. (not to be confused with Westport, Conn.) offers one- to four-bedroom houses and cottages, many with beach or ocean views. Historic homes built in the 1800"s or luxury homes with a tennis court can be found in Wesport. 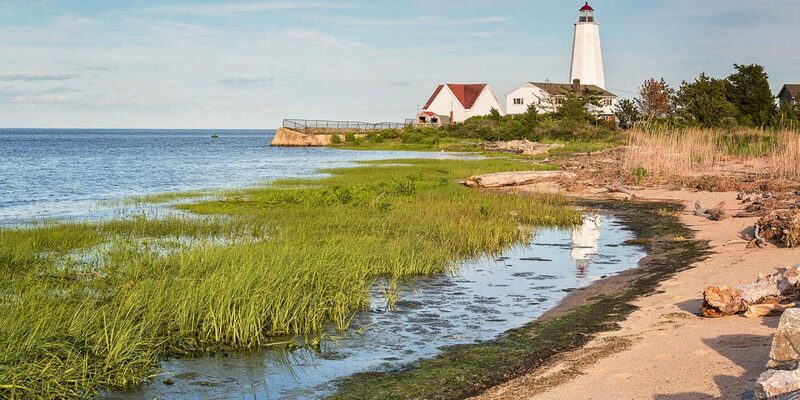 Families will love to visit nearby Horseneck Beach State Reservation, a state-owned and public recreation and sandy beach area, where fishing, windsurfing, boating and biking can be enjoyed. For waves and wheels, Surfside on Nantucket Island is where your family will find heavy surf and a more than 2 miles of paved bike paths for biking and roller blading. 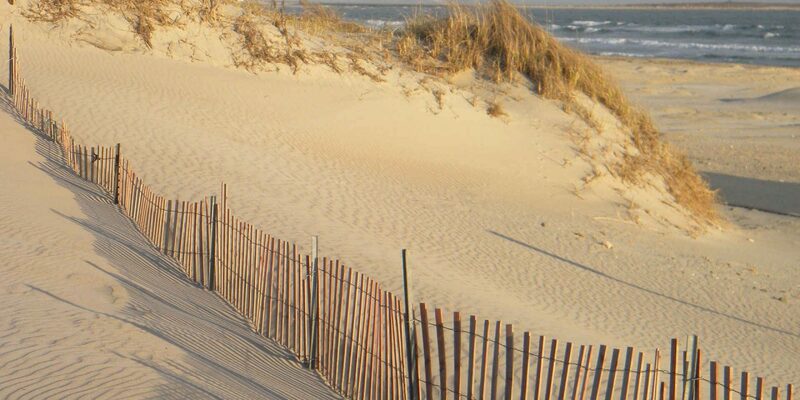 These Nantucket beach rentals vary from charming cottages to larger newly renovated houses. Several one-, two- and three-bedroom vacation rentals can be found, along with larger six-, eight- and 10-bedroom rentals. Eastham on in Cape Cod offers mostly one-, two- and three-bedroom vacation rentals but a few larger beach houses that can sleep 10 or more can be found in Eastham. A pool is available at some of these Cape Cod rentals but a rental with a Cape Cod Bay or Atlantic Ocean beach view is easier to find. Bike paths wind through town, surf lessons are available and kids will love to watch a movie at the drive-in. Find Rentals in Eastham, Mass.